Games & Music for your Business. We help create a fun atmosphere for your bar while putting profits in your pocket. How? We lease digital jukeboxes, pool tables, Touchscreens, Darts, and other profitable amusements. Own a bar, diner, restaurant, cafe, bowling alley, or other type of establishment with heavy traffic? Let’s talk entertainment for your venue! For over 30 years we have provided Fairfield County, CT; Dutchess County, NY; and Westchester County, NY establishments with fun, engaging games that keep customers happy, increase average dollar spend, and put profits in the pockets of the establishment. How, exactly do we do this? We outfit your establishment with pool tables, dart machines, TouchTunes internet jukeboxes, video arcade games, toy cranes (and ATMs, too!). There is no cost for the business owner… just profits in your pocket! We also serve Westchester and Dutchess Counties in New York. Get the hottest in interactive music for your customers… TouchTunes! Engage your patrons via the TouchTunes App and sing all the way to the bank with profits. Our equipment is cutting edge… and no cost to the business owner! Adding a pool table to your bar or venue is the #1 way to increase average time in your establishment. 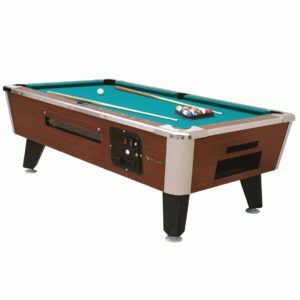 We provide full service pool table leasing and have been serving Fairfield County for over 30 years! No cost to the business owner… our profit share program puts money in your pocket! Looking for something a little different for your bar, restaurant, or busy establishment? Browse Bartop Touchscreens, Arcade Games (Golden Tee Golf and Silver Strike Bowling), Electronic Darts, Plush Crane Machines, and more. 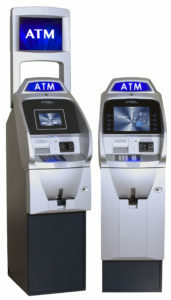 We are your preferred ATM placement service provider serving CT including Fairfield County, New Haven County, also Westchester County, Dutchess County, NY, too! Our ATMs cost noting to you. Plus, you’ll benefit from a percentage of the revenue generated! Why Choose United Amusements for your TouchTunes, Pool Tables, Arcades & Amusements? When you contact United Amusements, you can expect prompt, friendly response. We’ll work with you to determine the best, most entertaining, and profitable games and music for your establishment. Our quality service translates into profits for your business! 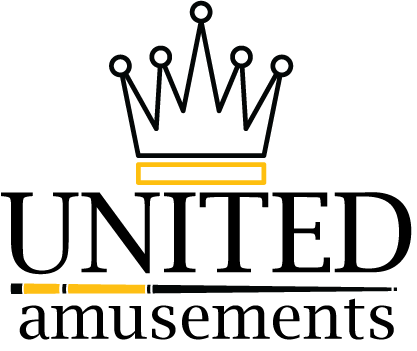 For over 30 years, United Amusements has been offering a fun, profitable array of arcade games, jukeboxes, pool tables that enhance your customer’s experience… keeping them at your establishment. TouchTunes internet jukeboxes will bring a new dimension of interactive entertainment to your venue. 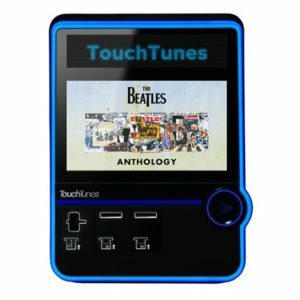 We offer the highest quality TouchTunes internet jukeboxes, along with the famous TouchTunes app that keeps your customers engaged, spending more money at your establishment. Ready to increase profits and customer experience? Need Games & Music for your Bar? Increase Profits and Customer Engagement by leasing TouchTunes, Pool Tables & Amusements for your business. Providing Fairfield County, CT with Music and Amusements! Own a busy Fairfield County establishment such as a bar, restaurant, or entertainment venue? We provide: video arcade games, electronic darts, TouchTunes digital jukeboxes, claw/ crane machines, bartop touchscreen arcade games, electronic dart machines, and pool tables on lease for profit share. Serving Westchester and Dutchess Counties, NY, too!